Office automation software is a vital part of everyday tasks, used to make the collaboration within Oracle support easier. 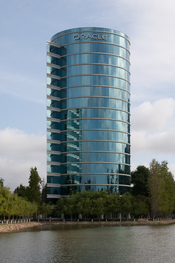 Oracle Corporation is not the only ones to use office automation; in fact most companies are using it. Software applications are used to automate routine office tasks, such as internet chat, faxes, teleconferencing, and of course email. Those are just a couple of the more common systems that help automate offices in the present day. Without office automation, group collaboration is more time consuming and much more difficult to coordinate. In the following I will discuss the advantages to office automation in the aspects of email, faxes, teleconferencing, and internet chatting, and not only for business use, but in everyday life. Businesses today often lean towards team working, committees and other types of workgroups in everyday operations. To collaborate with each other, teams can have meetings, speak on the phone, end faxes, and send interoffice memos via email or chatting online. These tasks are commonly achieved by using office automation software such as Oracle Web conferencing, Yahoo Instant Messenger, or Outlook Express. Since Oracle support is based on collaboration between the working analysts, managers and the customers, it is important to automate communication within our environment. WriteWork contributors. "Office Automation" WriteWork.com. WriteWork.com, 24 August, 2008. Web. 26 Apr. 2019.